Conservatives either kill innocent people or defend killers with endless whataboutisms. 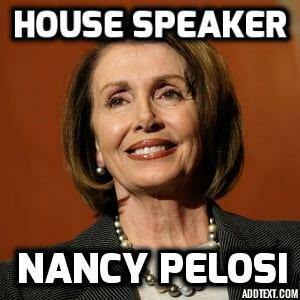 Meet your new Speaker of the House, Conservatives! You Know, At Some Point, We Liberals Need To Play Hard Ball And Take It To THEM. Let's talk about reality here. The GOP and their street thugs have committed legions of escalating atrocities against freedom in this country, and particularly against liberals. I'm talking about bringing assault rifles to town hall meetings, shouting down speakers, harassing and driving away speakers in public places (and in one case, even driving up to their houses when they flee back home) andeven punching people who disagree with them. Mexico: A Conservative Limited Government Wonderland. CIUDAD JUAREZ, Mexico (Reuters) - Inside a notorious Mexican prison where armed convicts used to roam freely, selling drugs and deciding who was allowed in, the state is in control again. Prisoners are back in their cells and the once overcrowded complex sparkles with cleanliness. Papa Johns? The last one near me closed down. And good riddance. As I said to #StandWithPapaJohns on Twitter... their pizza tastes like rat poop, too. Betcha that's their main recipe. Rat poop with used cat litter as their crust.